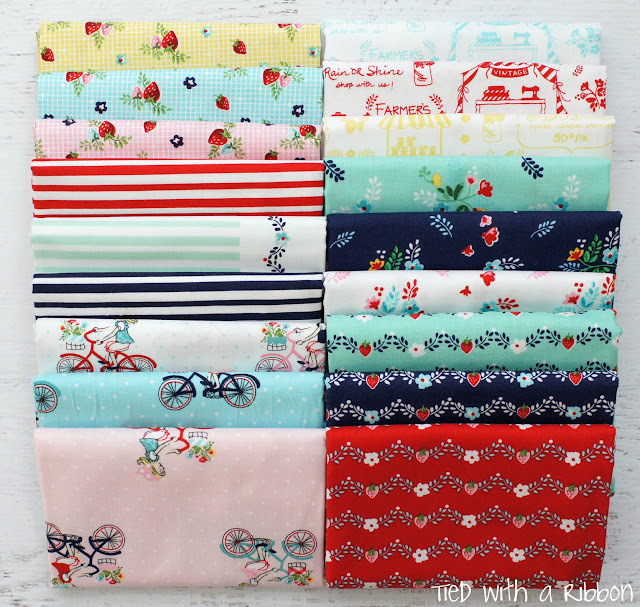 Tasha Noel's latest range - Vintage Market does not disappoint. If you loved her Little Red Riding Hood Range or Country Girls then this range for Riley Blake Fabrics will be on the top of your want list. There is a large selection of prints with the sweetest characters and most vibrant of colours. Sweet Strawberries, Girls on Bikes, Market Stalls, Quilts on Washing Lines and flowers all feature in these beautiful fabrics. Those who love Fussy cuts prints will especially love this range with the Characters and pictures to feature in your projects. 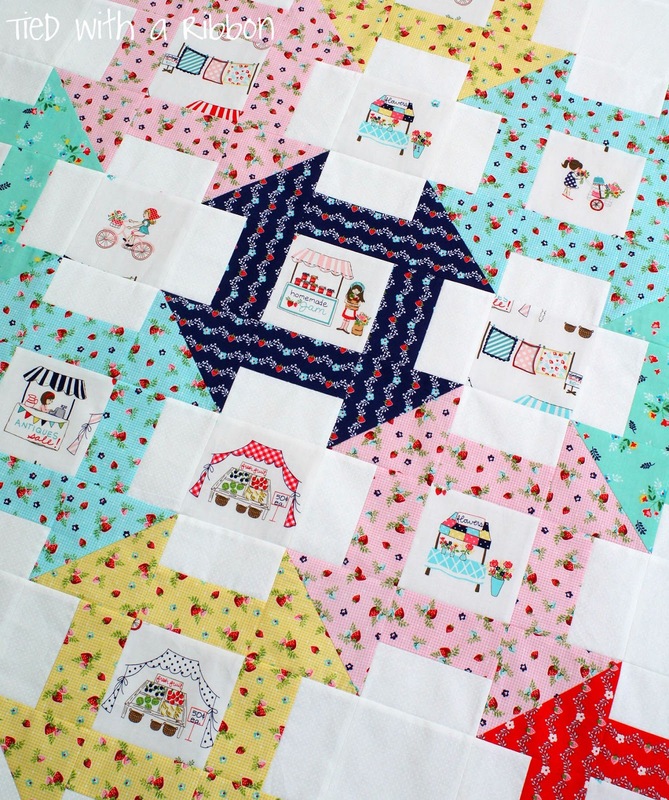 Vintage Market will be hitting Aus in June (Distributed by Millhouse Collections) so stay tuned for updates on its arrival. 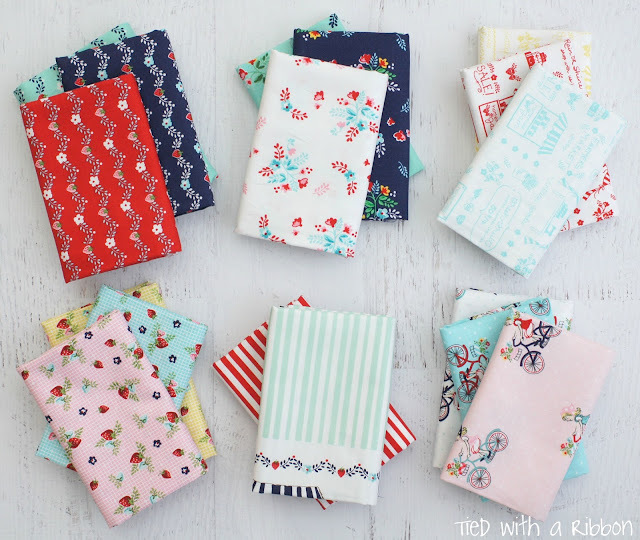 To feature the beautiful fussy cut prints I decided on using them within Churn Dash blocks. 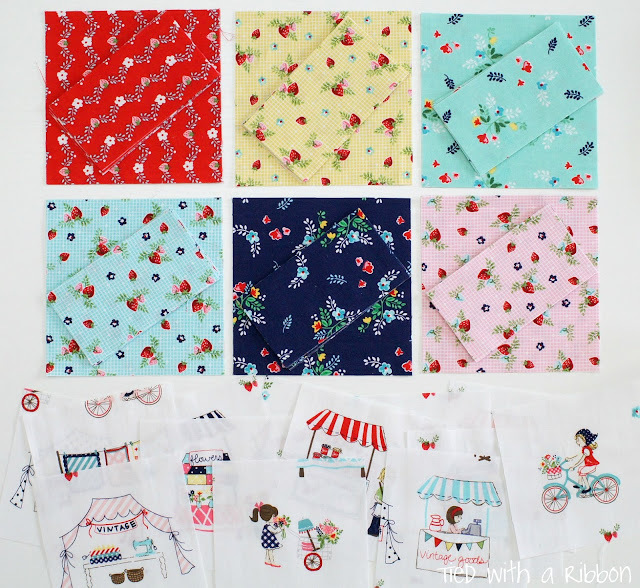 The vibrancy of these prints is amazing and the colours are so fresh and make you feel of those beautiful summer picnic days we love so much. 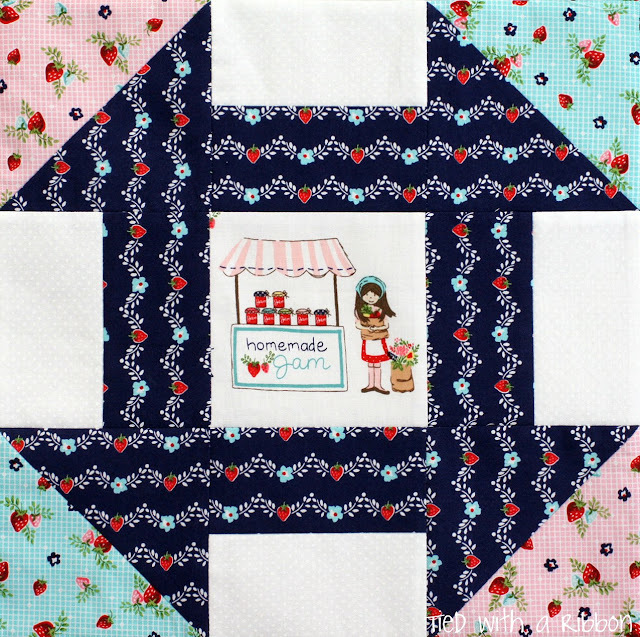 This new quilt design - Strawberry Picnic will be available very soon for you to create for yourself. 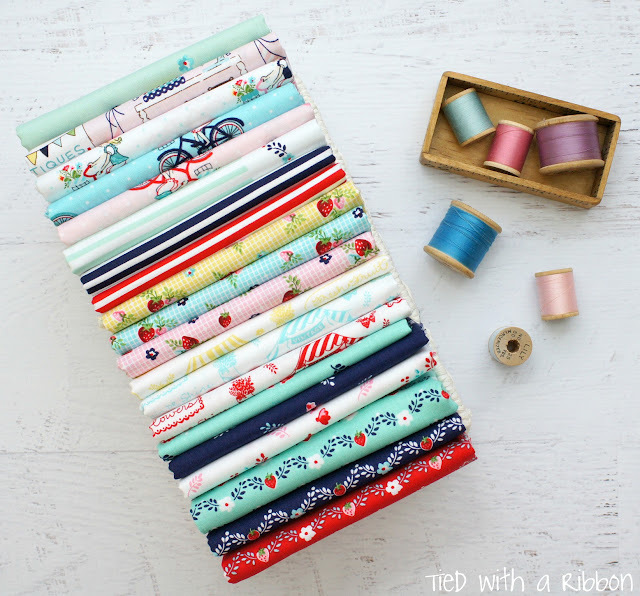 Seriously, you're making me question my quilting aesthetic.... I wanna make lovely quilts like this! 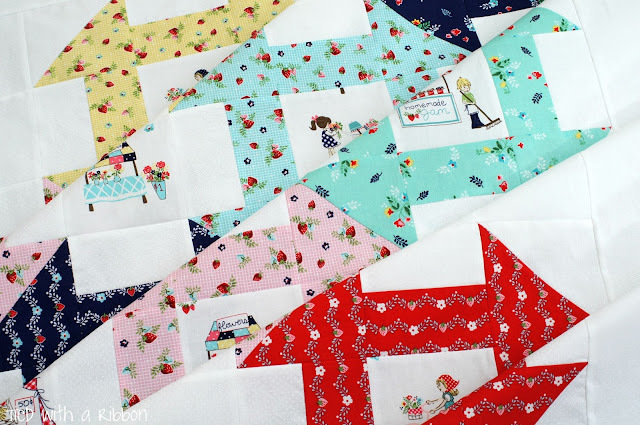 I am in love with those picture blocks and the fussy cutting is perfection on this quilt. Love your work! Thanks you very much for your sweet words Angie. It took a little while to work out the interconnecting blocks perfectly but glad for the persistence.